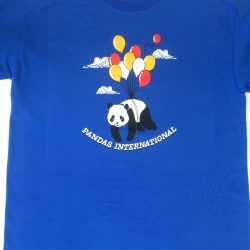 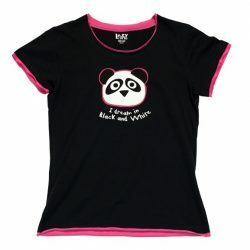 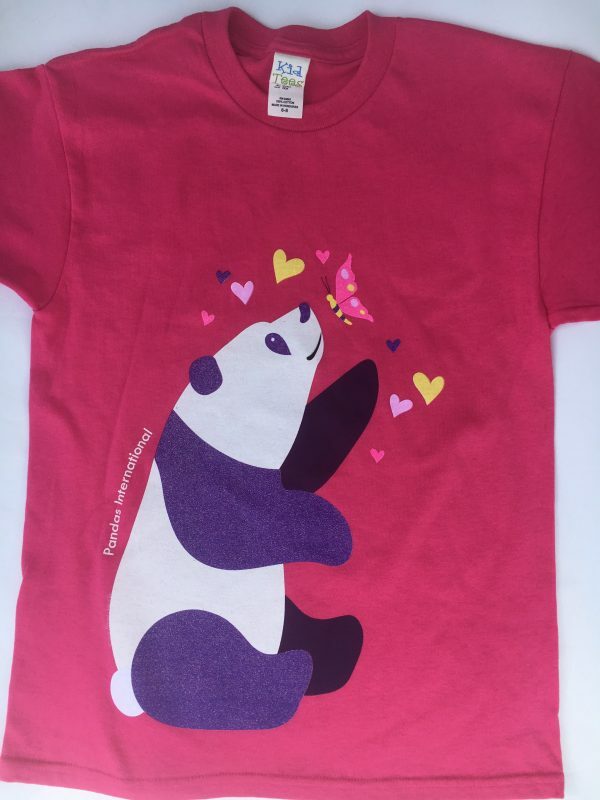 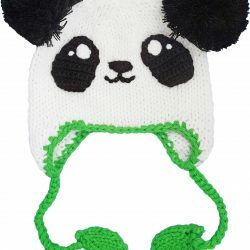 Short sleeved shirt featuring a panda looking up at a butterfly. 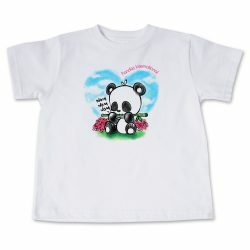 Shirt is 100% cotton. 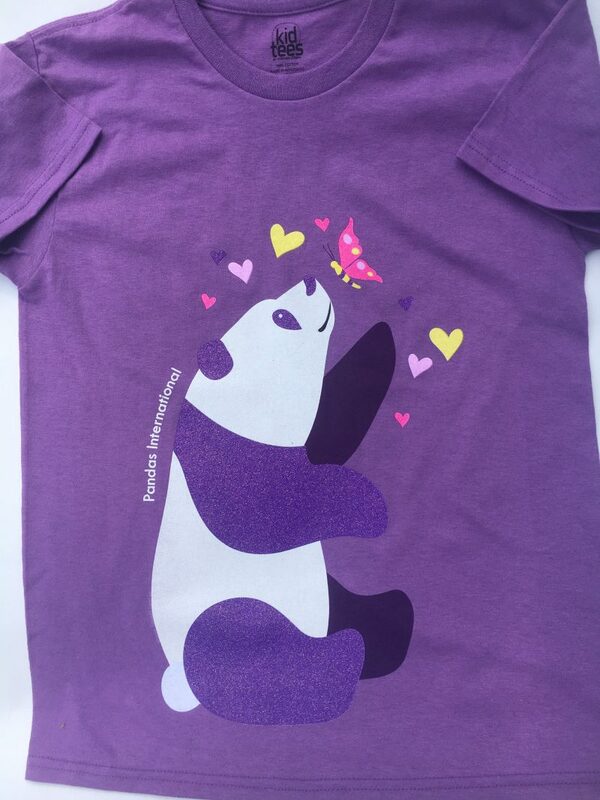 Girl’s sizes in both pink and purple: Small (6/8), Medium (10/12), and Large (14/16).